This past weekend our family celebrated a baby shower, my dad's 65th birthday and we also celebrated the Indian tradition called Raksha Bandhan. 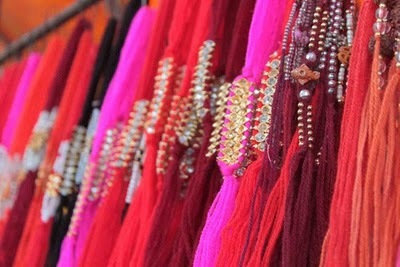 Raksha Bandhan, which literally means bond of protection, is also known as Rakhi. This is the celebration of the love and affection between a brother and a sister. For brothers it stands for the responsibility to protect his sister from all sorts of evil in the world. 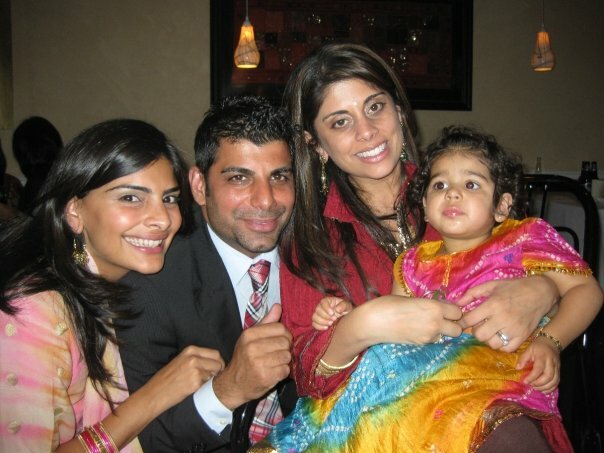 And for sisters, it is prayers for the brother's goodwill and well being. 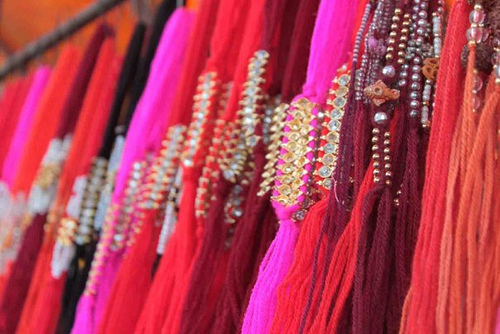 This year Rakhi falls on August 24th and the tradition involves tying of a rakhi, or holy thread on the wrist of the brother. In exchange the brother offers a gift to his sister and vows to look after her. It also involves feeding the brother some sort of sweets. My brother, sister, and I all celebrated early this year since we were all together. My sister and I tied a rakhi on my brother's wrist this morning (at 7am) while feeding him some delicious British Dairy Milk chocolate. Next year this celebration will be even more sweet and special because Ariyana will tie a rakhi on her new baby cousin brother. And here is the sweet gift my brother gave us. He has impeccable taste, (evident by the stylish Burberry tie he is wearing here) but we cannot give him all the credit because my sister in law has amazing taste too and more than likely she selected these gorgeous wristlets. My brother gave my sister the Tory Burch metallic saffiano wristlet in platinum gold and I got the rose gold one. We both also got very sweet hand written notes from my brother as well. This is such a sweet Indian tradition.